I don’t know how anyone could not be a Steve McQueen fan. His laconic style was the epitome of cool back in the day. We lost him much too soon and his work as an actor is often overshadowed by his status as an icon. I remember seeing this film on television, probably on a Friday night, and watching it to the end and being hugely disappointed because of the climax of the film. Of course I was maybe twelve or thirteen at the time and the needs of an adolescent are not always the best way to service an adult drama (do you hear that contemporary Hollywood?). After having sat through the tough and sad real life story of Lenny Bruce, my friend Michael and I queued up for a second helping of dingy drama, but this time in a much more romantic movie setting, the 1930s in New Orleans. 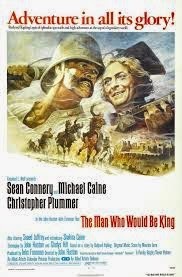 This fictional story of an up and comer taking on “the man” at the top of the poker playing mountain, is filled with wonderful character actors, gritty sets and a jazz based score. 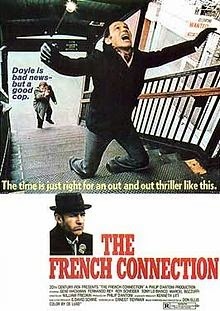 Originally a Sam Peckinpah film, the producers replaced him with Norman Jewison and recast Tuesday Weld in the part originally to be played by Sharon Tate. Even though we we near the end of the line to get into the film, we ended up in almost exactly the same seats we had had just a few minutes before. I’d not eaten anything that day so I went to the concession stand to get some popcorn. It was nice that I did because at the back of the line of the concession stand I had to move slightly forward to allow the featured guest to get into the theater. That’s right, Ann Margaret brushed right by me while I waiting to get some corn and coke. She did move by quickly but you can see that she retains the glow of beauty that has made her a star for fifty years. 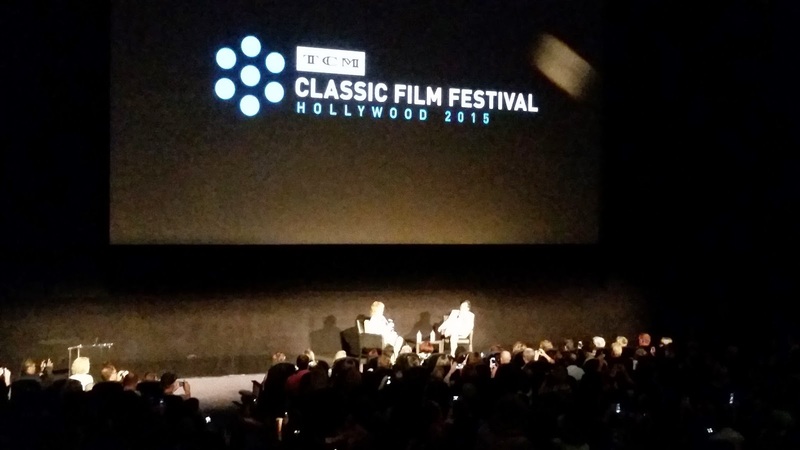 TCM Host Ben Mankiewicz interviewed Ann Margaret before the screening of the film and she was delightful. They had done a Club TCM Interview earlier in the day, so there were occasional references to events that they had discussed earlier but the overall effect was a positive one. If you have not seen The Cincinnati Kid, let me recommend to you for the cool of Steve McQueen, the sensuality of Ann Margaret but especially for the seasoned wisdom of Edward G. Robinson. Robinson plays the top dog in the poker world, and he is appropriately confident, wary, and assured. Rip Torn is impossibly young in the movie and most of you won’t recognize him. The perspective that time has given me on the movie made it a very worthwhile couple of hours. I said farewell for the day to my friend Michael, he was headed to the Hotel to pick up his Festival Souvenir Book and then over to see “Raiders of the Lost Ark”.&nbsp; His plan was to go to the 9 pm screening of “Apollo 13” in the big house. 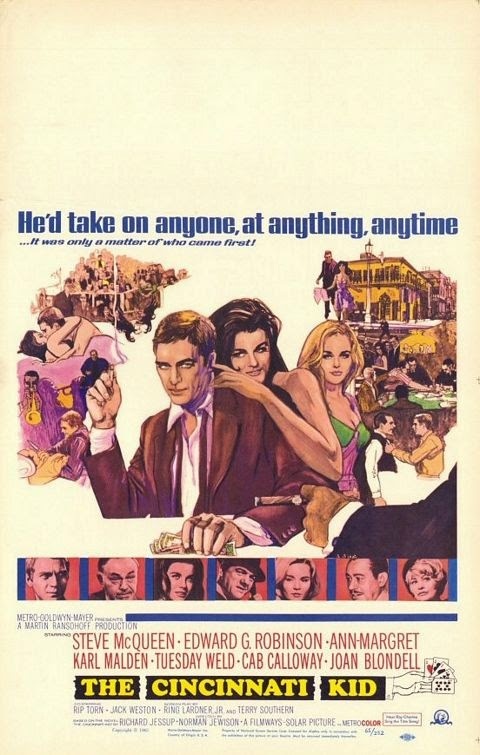 While that is something I would love to have done, there was no way to manage it because I was absolutely going to see OHMSS, with special guest, 007 himself George Lazenby. Now here was my dilemma,&nbsp; how do I go to the screening of “The Invisible Man” that I had planned on, and still get into the Bond film when the other movie would let out just a few minutes before 007 was to begin? I decided I could not take a chance. Since I had to be in the Standby line, I wanted to get there early. So I did, two hours and fifteen minutes early to be exact. I had to stake out my spot more than an hour before they passed out the priority numbers that allow you to purchase a ticket should there be room. It wasn’t that big of a deal, I spent the Summer of 1977 standing in two to three hour lines at the Chinese Theater every Friday, you know why. I was rewarded for my diligence with a coveted priority number. I should have guessed that it would be my destiny to get in, as I was walking to the theater originally, I had a text message from my daughter informing me that the “SPECTRE” teaser was about to be released on-line.So how could I not have enough luck to get in? As I looked at the others in line, none of the Standby folks seemed to have a pass to any of the rest of the Festival. They all seem to have come for this one event only. One person said that there had been a screening of a Bond film at an earlier edition of the Festival and that it had not been well attended. That was had for me to believe but it gave me confidence that we would get in. 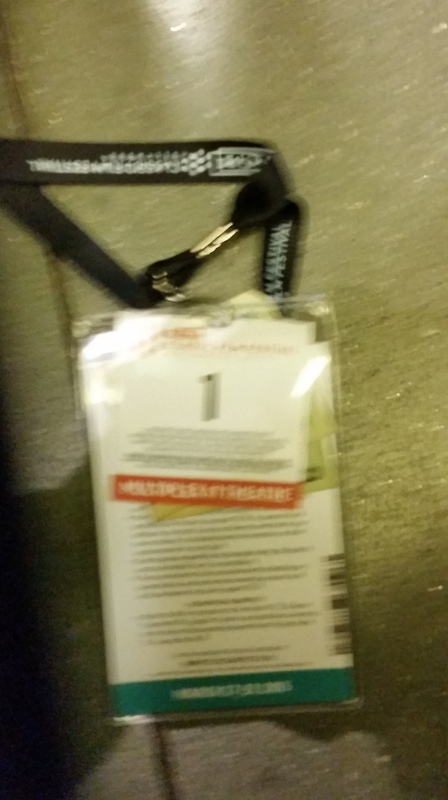 I was the first in the line and I marched right in when the called in the first group of ten, once in the theater, I was able to find a very satisfactory seat near the center about two thirds of the way back. Now I had been on the lookout for a couple of fellow bloggers at the Festival. These are people that I know on-line but have never met before. As I was getting comfortable in my seat, a couple came in and sat down next to me, and from the row behind us I heard a woman call out “Paula, is it OK if I come sit with you guys?” The woman standing next to me turned back and said “sure”. I don’t know a lot of people named Paula, in fact I know of only one, she runs a art house theater in Detroit and blogs at Paula’s Cinema Club . I’m not particularly shy so I just piped up and asked her, “You’re Paula? any chance you are from Detroit?” Sure enough it was her and by accident we were seated next to each other. I introduced myself by name and mentioned that I was on her site occasionally and she was quite friendly. When she left to get concession items, I chatted with her husband Tim about the theater that they run, Cinema Detroit.He was very forthcoming with their story and I was very inquisitive. It had been my dream at one point to own my own revival theater and program it with classic and independent films, and they were doing that themselves. When Paula returned I mentioned that I would probably do some posts on the Festival and I would mention that I saw them. I gave her a card I’d made up for my blogs and she suddenly said, “Oh, 70srichard, I do know you.” The card has the distinctive “Jaws” Masthead on it so she was able to put two and two together without the right input from me in the first place. Anyway, “Hey Paula”. 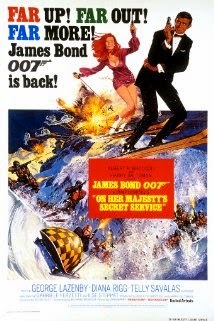 Let’s get to what brought us here in the first place, “On Her Majesty’s Secret Service”, the first James Bond feature to star someone other than Sean Connery in the role of 007. I know several Bond fans out there who are quite disparaging of this entry in the series and they lay the blame squarely on the shoulders of the novice film star George Lazenby. I have seen him described as “stiff” and “charisma free”. I have never thought that. I do see some faults after all this was his first acting gig ever, but I thought he looked the part and carried it off reasonably well. He was also surrounded by a cast of actors who were professionals and gave him plenty of support. It also helps that he has one of the finest narrative plots of the whole film series. James Bond falls in love and improbably marries the girl that he saves in the first scenes in the movie. Tracy is played by the talented Diana Rigg, who I knew as Mrs. Peele in the Avengers TV show. Her talent allows some of the scenes between them to play much more believably. 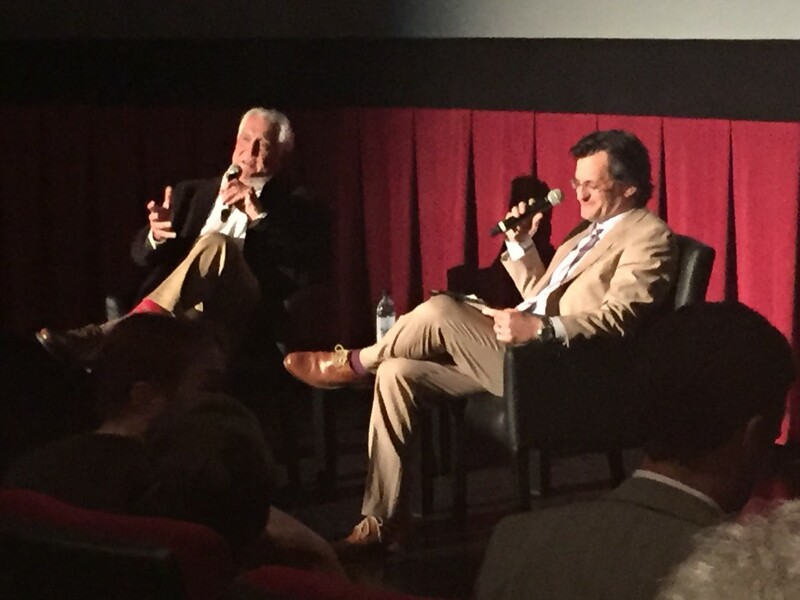 TCM Host Ben Mankiewicz introduced and interviewed the only man to play James Bond a single time in the movies, Mr. George Lazenby. 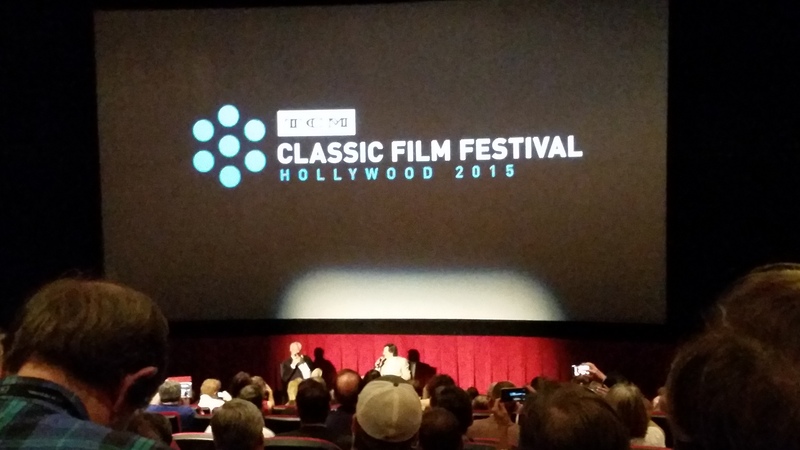 I found this shot at http://thirtyhertzrumble.com/30007hz-2015-tcm-film-festival-post-mortem/ This guy had a closer seat than I did. Both of these guys have a great sense of humor and Mr. Lazenby is past the point of worrying about being politically correct. He told some pretty sexist stories and some unflattering personal anecdotes but they were all done with great gusto and in the spirit of having fun, not of diminishing anyone. There were some extra details and side trips in his well known tale of how he came to be James Bond. He also provided a simpler version of why he walked away from the role as he did. 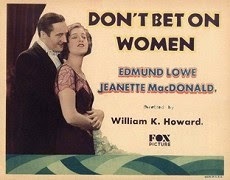 It came down to some advice that simply predicted the days of Bond were numbered and it was better to get out before the crash. Mankiewicz suggested that it was some bad advice but Lazenby said it wasn’t because he has had a very satisfying life ever since and he had no real regrets. 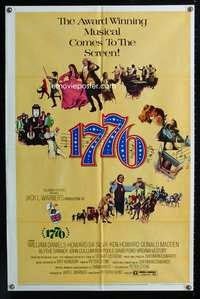 It was also interesting to hear why Lazenby thought director Peter Hunt bailed on talking for the nine months of production to him after championing him for the role.Ben and George could probably have gone on for another hour given that they were having so much fun with each other and the audience, but eventually the movie had to begin. There is no place like Hollywood today. Thousands of film fans have descended on the street in anticipation of seeing some great films. I arrived in time this Friday morning to make it to “The Dawn of Techicolor” a facinating presentation about the early history of the film color process, that focused on the early two strip process. Like a very nicely done Informative speech, the authors of the book on the subject gave a brief technical description of the process but focused mostly on the historical context. 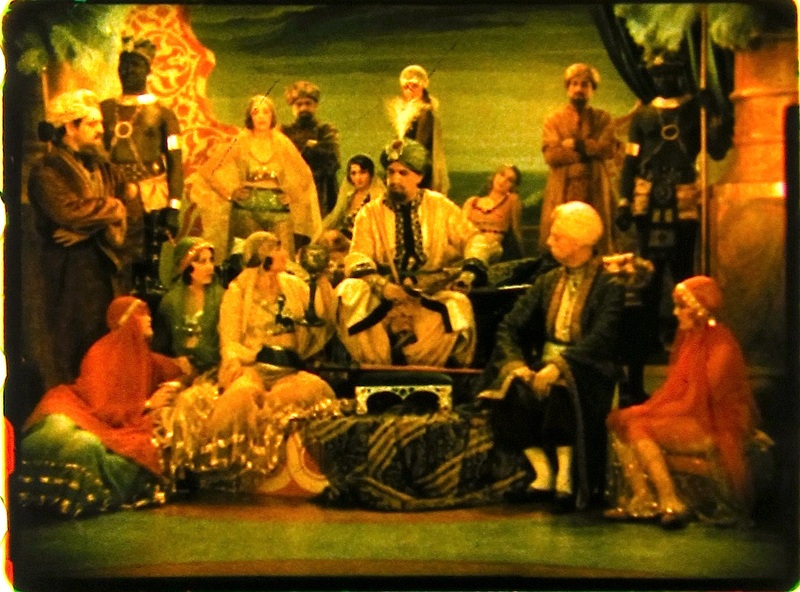 sound was introduced that the color process took off and the demand began to outsrip the ability of the company to provide the prints required to exhibit the movies. There were maybe 14 films made between 1927 and 1930 that used the process and only a couple of them still exist in a complete form with the color intact. There have been extensive historical restorations that took parts of the surviving color prints and matched them with black and white prints that were used in the early days of television to complete a few scenes that we were treated to this morning. 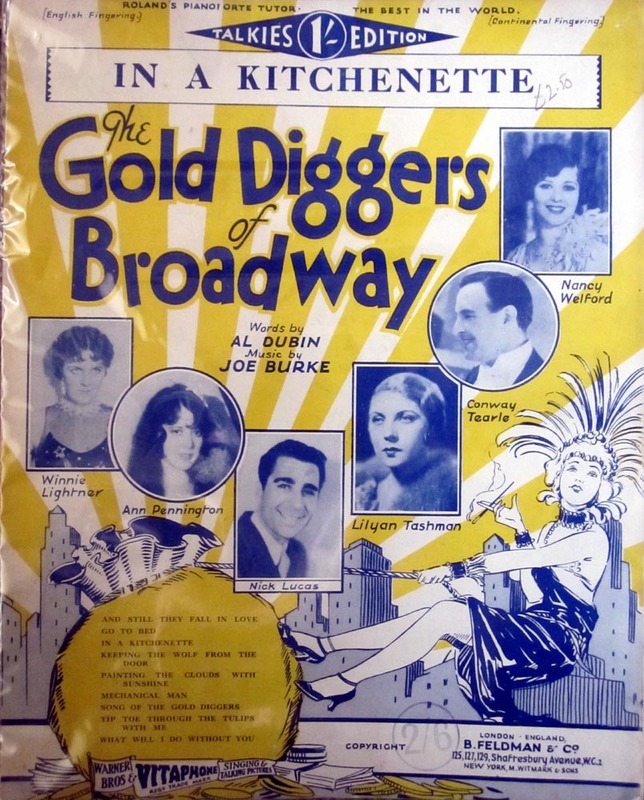 “Golddiggers of Broadway” is a clunky backstage musical that utilized the color process and is still around. 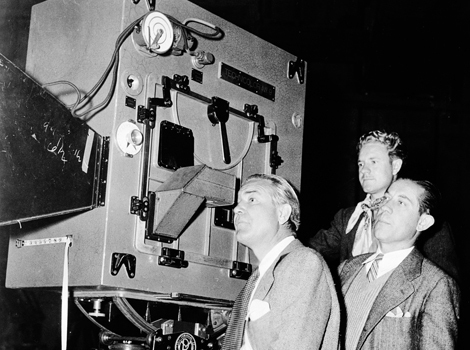 We saw two or three clips to illustrate the complexity of the lighting process, which apparently sometimes left the soundstage at nearly 160 degrees. They had to cut holes in the ceiling and bring in fans to allow the perfprmers to be on the set. The cameramen had it worse though, as they recorded sound live, the cameras had to be operated in large insulated portable rooms, referred to as “Iceboxes” because of their resemblance to the refrigerators of the time rather than the fact that they were cool, which they definately were not. “The Sultan’s Jester” was another short that we saw in it’s complete form with the color process which sometimes was inconsitent and often lead to grainy backgrounds where the focus seemed off. It featured a pretty dramatic accrobatic act that consisted of three guys tossing around a woman in some very dangerous circus type moves. It was a hoot, it seems dated but it was so sincere in the way it wanted to convey entertainment it remained a joy despite it’s clunky nature. There was a great musical sequence from the Golddiggers film that featured “Tiptoe through the Tulips.” The presentation was done as a large scale powerpoint/prezi presentation, with pauses built into the speech for the lengthy movie clips. It was at the Egyptian Theater and it was packed. I walked in just after it started and had to stand in the wings waiting for a movie clip to start because it was so dark with just a podium light on the speaker, I could not see. Finally I found a nice spot on the side and dicovered there are no bad site lines in the theater. 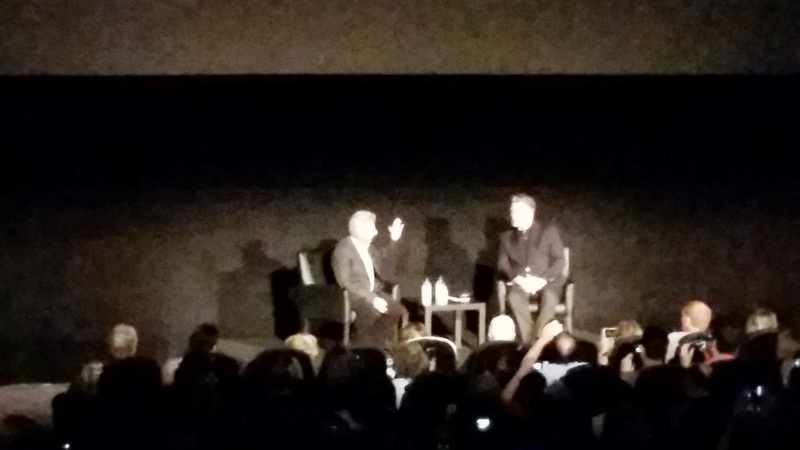 While it was not a full film, “The Dawn of Technicolor” lecture was packed with clips and rare photos, and it is based on a book put together by the two historians who did the presentation, David Pierce and James Layton. If you are interested, here is a link to amazon for purchasing the book. 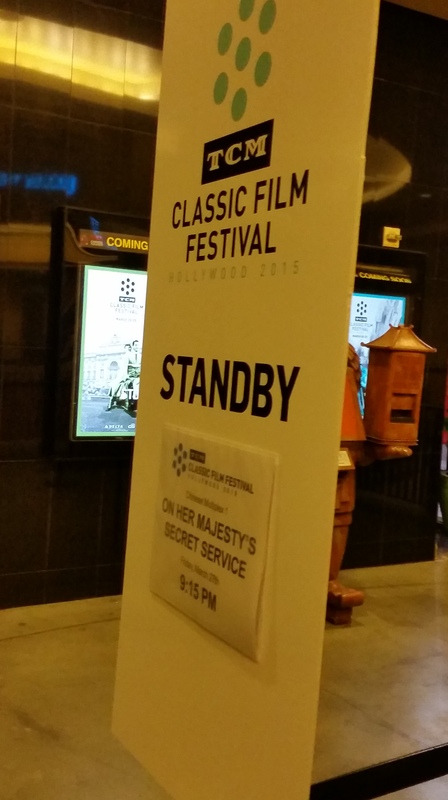 Last year I made my first trip down to the TCM Film Festival and crashed a screening of my favorite film. I was jealous of my friend Michael who was there for the whole Festival, but also grateful to him for saving some seats for my wife and I. I briefly met Will McKinney and Kellee Pratt, two bloggers that I follow and friends of Michael s’. I’m sure they don’t remember because it was about 90 seconds and they were off to another activity. This year however, I pulled the trigger and bought a weekend pass for the event. My job is keeping me away from the Thursday opening and the Friday morning screenings but I have planned a full schedule for myself from Friday evening on. Some of you may be headed down to Hollywood for this this weekend of bliss, and if you have time, I would love to meet you in person. I’m not on twitter, which is apparently the best way to connect when at a function like this, but I will be updating my Facebook posts on my Movie Blog Page. I plan on doing a full report on the event after it is over, and I hope to have pictures and video to include. For now though, I thought I would post a list of the films I am going to try to get into and if you are seeing any of these, I hope you will look for me in the crowd. I’m a reasonably friendly person and I’d love to trade opinions, stories and what not with you. Same place, different Classic 7:30 p.m. The great Tyrone Power in a dark, dark vision of con men and carnivals. George Clooney locked in a trunk with Jennifer Lopez. Throw in Steve Zahn, Don Cheedle and Albert Brooks, from an Elmore Leonard Novel, of course this is where I will be. 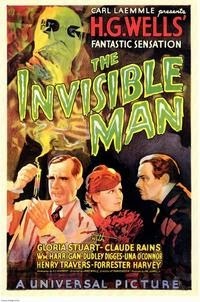 The Greatest Showman of the 20th Century, made movies as well as making things disappear. After Disappearing itself for 70 plus years, Houdini’s “the Grim Game, with musical accompaniment. 8:15 at the Egyptian Theater. Hope everyone who goes gets to see everything they came for, and I hope I get to meet you as well. See you next week in Hollywood. There will be cynics out there who will dismiss this movie as another reach for your wallet, simply because of our love of Liam Neeson. I am as guilty as the next person of perpetuating the chain of Neeson badass characters showing up in the first part of the year and giving us some meaningless action pieces. “Unknown“, “Taken 2“, “Non-Stop“, and “Taken 3” are all about an inch deep and are really just an attempt to allow Liam to play a hard case. The storytelling in those movies is not well thought out and the action is usually shot in a manner designed to give us a memorable moment with Liam Neeson with a gun in his hand. While there is a moment like that in this film, the rest of the movie strays far from the formula and builds a real story around a sad character that we should have no sympathy for but who ultimately tries to redeem himself for his son and for all of us watching. 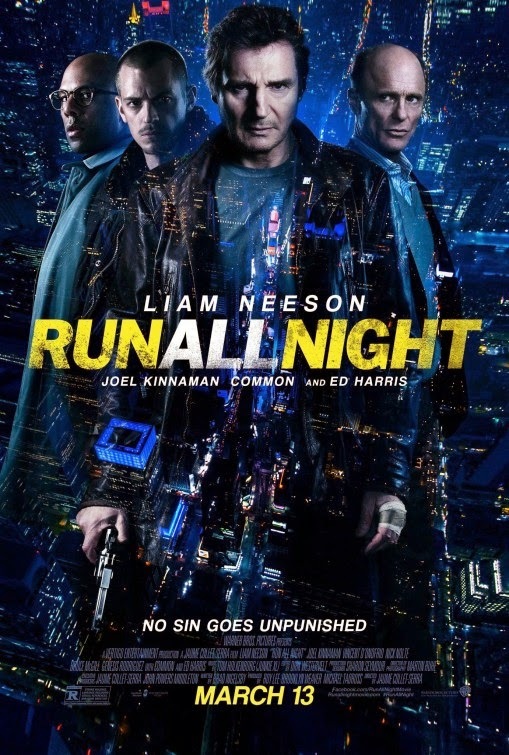 “Run All Night” comes much closer to the great Neeson action films of the last few years; the original “Taken”, “The Grey” and last years criminally under appreciated “A Walk Among the Tombstones“. Like those films, his character’s weaknesses are developed as part of the story, not just laid on to create background. 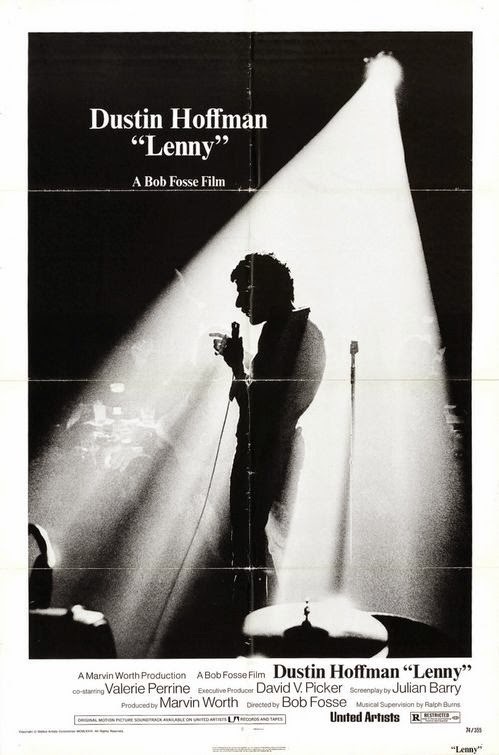 His character, Jimmy Conlon, is a mob enforcer formerly known as “The Gravedigger”. Jimmy’s fortunes have fallen by the wayside as he drowns his nightmares in drink and sloth that barely keep him alive. His best, friend and former employer makes sure that he is taken care of but no longer entrusts him to do the dirty jobs he was once responsible for. That friend, Shawn McGuire, played by Ed Harris, no longer needs that help because his business is more legitimate and less violent than it once was, at least until his son Danny tries to make a name for himself in the rackets. If you have seen the trailer, you know the set up of the movie and it looks like it will be standard action killings for a couple of hours. There are indeed several action sequences and a lot of people get dead, but unlike the disposable types of perfunctory death that Neeson’s characters usually provide, these all take a toll on him one way or another. As he attempts to protect his son, Jimmy is forced to confront his legacy as well and it is not a pretty picture. Neeson plays a real character here not simply some automaton that walks through the door with guns blazing. The strained relationship with his son makes the process of trying to protect his boy more difficult. The fact that he understands his enemy so well because he once was that enemy is a slap in the face for the kind of person he has been most of his life. Ed Harris give a very strong performance in the film as the conflicted best friend and boss who now wants to make his former associate suffer for what are really his own faults as a father. He knew his kid was a bad seed, but he loved him. The tough love he tries when Danny attempts to build a drug kingdom, is directly responsible for the death of his son. No one will be able to accept that when he can put the blame on a boogie man that he helped create. Jimmy and his son Michael (Joel Kinnaman), become the fall guys for McGuire’s own faults. Everybody knows this except Michael, the grown son of Jimmy with a young family of his own and the good sense to stay away from his father’s old life. When Michael tries to do the right thing, it leads to all hell breaking loose. Some cops are crooked, old haunts become dangerous and old friends want to kill the father and son. Reason was never a strong suit with these characters and there is no way of making this right. Ed Harris just received a Star on the Hollywood Walk of Fame, and it was timed to go with this films opening. He can be proud that his work here is more vital than some of his recent efforts like “Snowpiercer”. Even though it is a well told story, there are still a few trite elements that are inevitable. Michel’s family is in jeopardy so there will be scenes of them being stalked. The father-son dynamic is stress filled so there will be some defiance of orders/advice given by a criminal to his honest as the day is long son. An implacable hitman is put on the job to dispose of the pair, regardless of the fact that Shawn already has nearly two dozen guys and insiders in the police department working on the task. So if there is so much SOP in this movie, why do I see it as being so much better than the rest of these films? One reason is that there is a side story of a dedicated but frustrated cop who knows what Jimmy has done in his life and he still wants answers for those who have been gone for years. Vincent D’Onofrio is the weary but dogged honest cop who could be a key to saving Michael, if Jimmy plays it straight. An uncredited big name shows up for one scene and delivers a heart rending piece of information that makes it even more impossible for Michael to trust his Dad. There are also good supporting performances from the thugs and victims of the story. Whenever Bruce McGill shows up in a movie, it gets a little better, I only wish he had more to do in this. The director Jaume Collet-Serra, who made “Non-Stop” and “Unknown” with Neeson before, has a much better story here and he uses the camera and the city of New York in an interesting way to tell it. Ultimately though, it is the story arc of Jimmy that makes this work. He is legitimately troubled by his past but lives through it in daily misery as a penance for what he has done. He never sees this as a chance to redeem his relationship with his son, he knows that he is a dead man, he just wants to do the right thing at the end of his life. The relationship he and Shawn had is brought to life by the solid work done by Liam Neeson and Ed Harris. Their scenes together are sad but reflect a deep bond in spite of the circumstances. You will get a requisite amount of mayhem, but you will also get a tragic story of wasted lives and lost friendships. If ever a movie would have been fine without a sequel, this continuing story of the elderly residents of the Best Exotic Marigold Hotel in India would probably qualify. In the first story, all the loose ends seemed wrapped up, the key characters who were moving on did so and the ones who were staying appeared to have things under control. Of course when you make nearly a $140 million at the box office on a $10 million dollar investment, it is hard to walk away from the table. You have to figure that you are playing with the house’s money so why not take a shot? 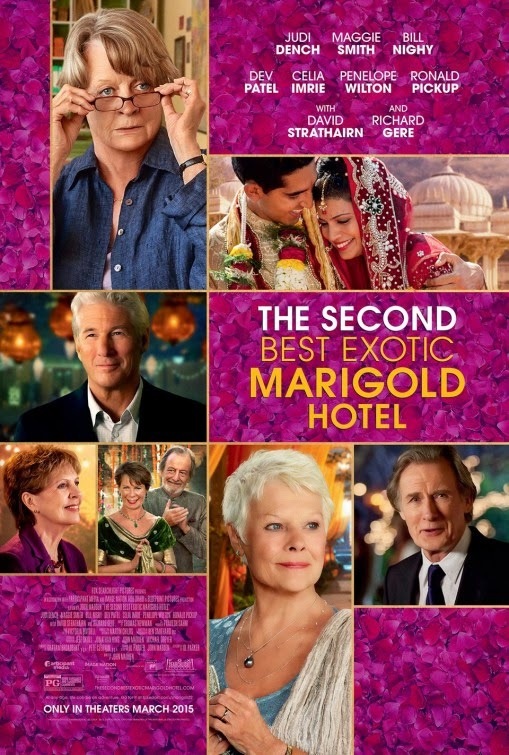 Fortunately, instead of being a straight money grab like the two sequels to “Taken” have been, “The Second Best Exotic Marigold Hotel” has a few pieces of pleasure to dispense. There is nothing here that is essential to a story, but if you enjoyed the company of the cast in the first movie, there are some nice moments to get reacquainted and to have a mild laugh or two. 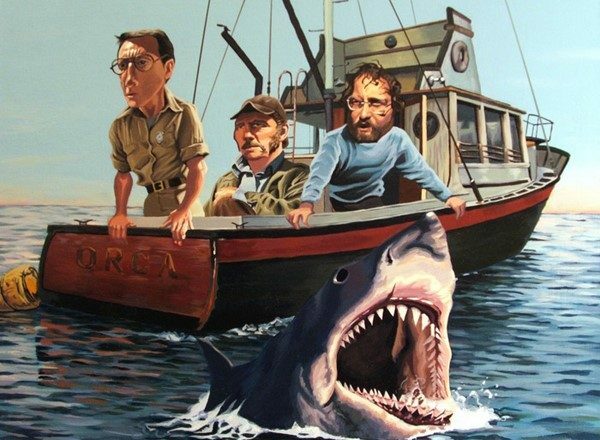 If you never see this film, you are not depriving yourself, but if you do, you are certainly not hurting either yourself or the memory of the earlier movie. This time out the culture clash is keep to a minimum, and in fact, the main characters are emerged in their new home and culture very nicely. The outside influence this time is the involvement of a major American Company that has been asked to invest in a franchise of the original establishment and expanded capacity. A brief visit to America by young Sonny the Hotel Manager played by Dev Patel with Maggie Smith’s Miss Donnelly as adviser, brings the promise of an investigation of the facility by the potential partners. Lickity split, two new arrivals appear at the hotel and Sonny begins to lose control and allows jealousy and fear to blind him to his behaviors. His upcoming wedding becomes the playground for several episodes of embarrassing humor and for a little bit of drama. We see less of the gritty part of India in this chapter and instead focus more on the festive. I had the pleasure once of attending an Indian wedding here in Southern California, or I should say one part of an Indian wedding because it seems that there are several rituals to go through. The different events each allow an escalation in the tension (what little there is) but mostly provide a beautiful backdrop for music, dancing and costumes of the sub-continent. The mild romantic endeavors of the aging sweethearts are side shows to the nuptials of the young couple. There is some silly business about an accidental contract put out on one of the women, a slow realization that wealth is less important than compatibility, and a final push toward the edge of commitment for couples that do not have that much time left to commit. None of it means anything, it is like it’s predecessor, a frothy confection for the over 50 set who don’t want to see an action film or a science fiction film this month. Richard Gere shows up and while his hair has always been prematurely white or grey, he looks this time like he is actually moving into the golden years, still handsome but a little more weathered. Bill Nighy continues to play the same hesitant, nearly stammering older character that has been so delightful in earlier films, although it does seem he commits to the role a bit. Judy Dench dashes through the film with as much screen time as any other character but with less importance to her role than many of the other characters. Maggie Smith manages to be funny this time without the racial jibes that made her character irascible in the last film. 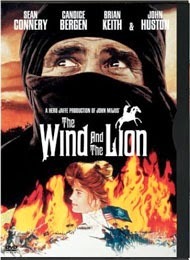 If the India of this film, were the India of the real world, I might be tempted to retire there myself. I have learned however that a movie and reality are rarely partners and instead I will enjoy the view from my seat and move on to another exotic location in the next film I see.